Staten Island Has a New Waterfront Seafood Restaurant From Dave PasternackBarca gives the chef views to match his talent for cooking fish. 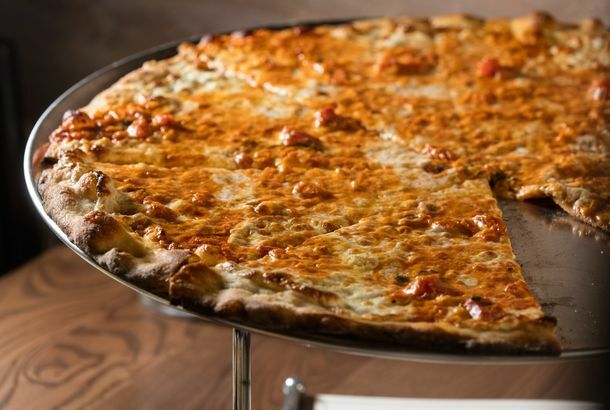 The Great Staten Island Pizzeria Joe & Pat’s Has Finally Arrived in ManhattanThe family-run shop has been churning out its patented thin-crust pies since 1960. Everyone Is Mad at Baker Who Complained About Charity Event for Fallen SoldierLocals are calling for a boycott. 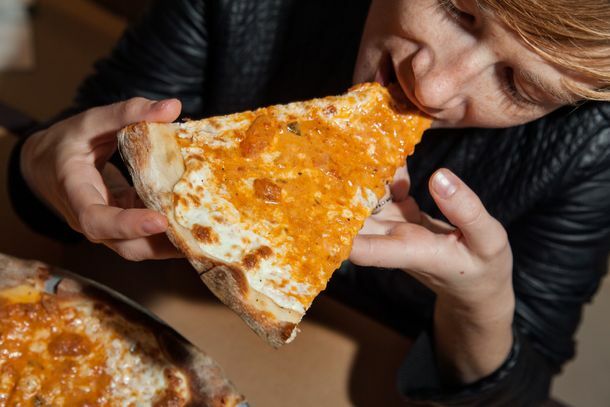 The Absolute Best Pizza on Staten IslandThe borough is both underappreciated as a slice destination and home to a vodka-sauce style all its own. The Absolute Best Clam Pizza in New YorkSave yourself a trip to New Haven. Even Classic Staten Island Restaurants Get Replaced by BanksThe 83-year-old Schaffer’s Tavern will close early next year. NYC Pizzerias Debut Delivery Boxes Made From Staten Island TrashSo you think about recycling while scarfing down that pie. Defonte’s Will Open in Staten Island This WeekendNicky Specials are headed to Stapleton. De Blasio’s Pizza Fork Can Soon Be YoursThe saga continues with a charity auction. Bitcoin Now Accepted at Staten Island Wine StoreIt’s all about having options. Staten Island Wendy’s Locations Accept E-ZPass in Drive-through LanesPort Authority and the MTA are giving it a Frosty reception, though. Staten Islanders May Get Local Wild Turkey for ThanksgivingThe USDA will determine if the turkeys are safe to eat. Watch This Guy in a Mustard Costume Play a Mean FiddleThat’s some real Charlie Daniels Band stuff right there. New York City’s First Sonic Opens Soon in Staten IslandA fleet of carhops on roller skates awaits your orders. Butterballed: Staten Island’s Wild Turkeys Are Going to Be SlaughteredAfter that they’ll be frozen, until tests indicate they’re safe to eat. Chef Says Request for W-2 Was Met With Threats of Gruesome ViolenceTaxes before death! Bonefish Grill Opening Its First NYC Location in Staten IslandSlinging Bang Bang Shrimp and more beginning August 20. 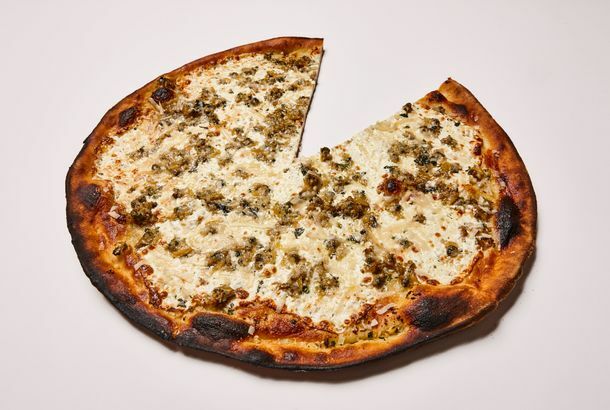 Mobsters Square Off in Pizza-Sauce DisputeThe Square’s owner may’ve stolen the recipe from L&B Spumoni Gardens, but luckily they settled it all at their local Staten Island Panera Bread. Man Stabbed Outside Staten Island Resto While Fiancée Looks OnPolice are still searching for the man who stabbed Antonio Lacertosa over the weekend. Food Trucks Exiled to Staten IslandAnd Queens. Breaking, Entering, and ChuggingA man broke into a Staten Island restaurant and helped himself to some meat and booze. Mother and Daughter Sue Staten Island Bar for Underage Drinking SlipupDoes that seem fair? D’Ohhh! Thieves Pinch Wrong DoughTalk about a half-baked plan. Eyeball Tacos, Anyone?You can find them in Staten Island. Argentine Truck Will Bring ‘Empanada Paradise’ to Union SquarePlus, a foodie flea market you didn’t know about. Brooklyn Grange Begins to Grow; Daytime Emmy Food Nominees AnnouncedPlus: Heinz changes their ketchup recipe, and Whole Foods recovers from the recession, all in our morning news roundup. But What If You Want to Eat Tongue Polonaise in a Thirties Subway Car?Next to Staten Island’s tiki bar, there’s a Kosher deli that’s perhaps even more of a spectacle. Starbucks Eyes China; Airlines Upgrade In-Flight FoodPlus: Staten Island loves the Double Down, and Teresa Giudice releases a cookbook, all in our morning news roundup. There’s a Churreria in Staten IslandThat’s right, there’s a churro stand in Staten Island. What Does Michelin Have Against Ethnic and Outer-Borough Restaurants, Anyway?And other gripes about this year’s list. The Most Terrifying Cake of All Time?You won’t see Gucci gelato, but how about a bridal-shower cake by Chanel? Extreme Sandwiching: Adventures in Questionable Flavor CombosThe “cheeseburger club” at Friendly’s and the bacon-infused ice-cream sandwich at JoeDoe. ‘Real-life Parisians’ Detected in Bushwick; Pop-up N’awlinsPlus: Frozen custard for Corona and more katsu curry for midtown, in our regular roundup of neighborhood food news. This Is Why New York Is Fat: Cadbury Eggs and Cheesesteak, Deep-friedTIWYF may become a book, and we’d like to see this in it. Murdered Restaurant Owner Suffered From Economic Downturn, Mafia TiesIf you have to borrow, maybe it shouldn’t be from the Bonnano family. California Bans Trans Fats; Watch Fat Ladies at HomeCow verus soy milk, mourning a Starbucks, brunch recommendations, and more, in our daily news roundup. Jennifer Fitzgerald Fuels Oktoberfest Conga Lines at Killmeyer’s Jennifer Fitzgerald’s name isn’t exactly German, but that didn’t stop her from springing for a handmade dirndl on eBay after she took a job at Killmeyer’s Old Bavaria Inn two years ago. Since then she has supplemented her grad-school training in English with an education in wursts and weisses and is putting it to good use this week as Oktoberfest kicks into high gear. Staten Island Protests Demeaning New Ice-Cream FlavorIce cream and politics don’t mix: Just look at the strange case of Staten Island Land Fill, a new flavor sold in stores by 5 Boroughs Ice Cream, and the source of a major hassle on the other side of the Verrazano. Things came to a head last Friday when Staten Island borough president Jimmy Molinaro urged an all-borough ban of 5 Boroughs Ice Cream. “Initially, we considered changing the name,” says Kim Myles, 5 Boroughs’ co-owner, “but then we realized we didn’t get into this to take direction from everybody else. And it’s our number-one seller!” What the two did not count on was what a very sore toothache the dump has become to most Islanders, long weary of being the Abbott to the-rest-of-NYC’s Costello.